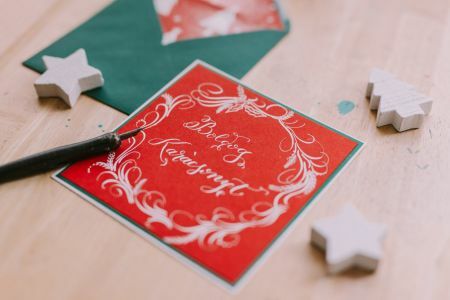 Join Katie at Saucer & Spritz for an afternoon of learning Calligraphy with a focus on making your Christmas stationery extra special! London Calligraphy received an abundance of requests from people wanting help with writing cards, party place cards, wrapping paper, envelopes and gift tags. We have therefore put together a special Christmas workshop this December! 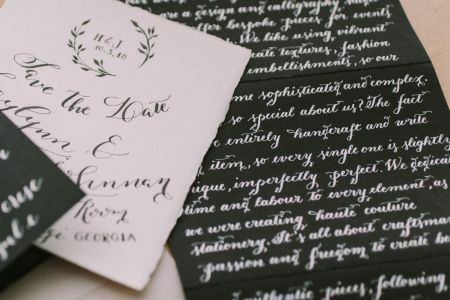 A personalised modern calligraphy kit to take home, including an oblique pen holder, ink, nibs, paper and other Christmas/event stationery treats. 2 hours of calligraphy instruction, including 1 on 1 help where needed. You will learn essential techniques and how to use an oblique dip pen and ink. The workshop will begin with practicing letters, words, names and quotes. 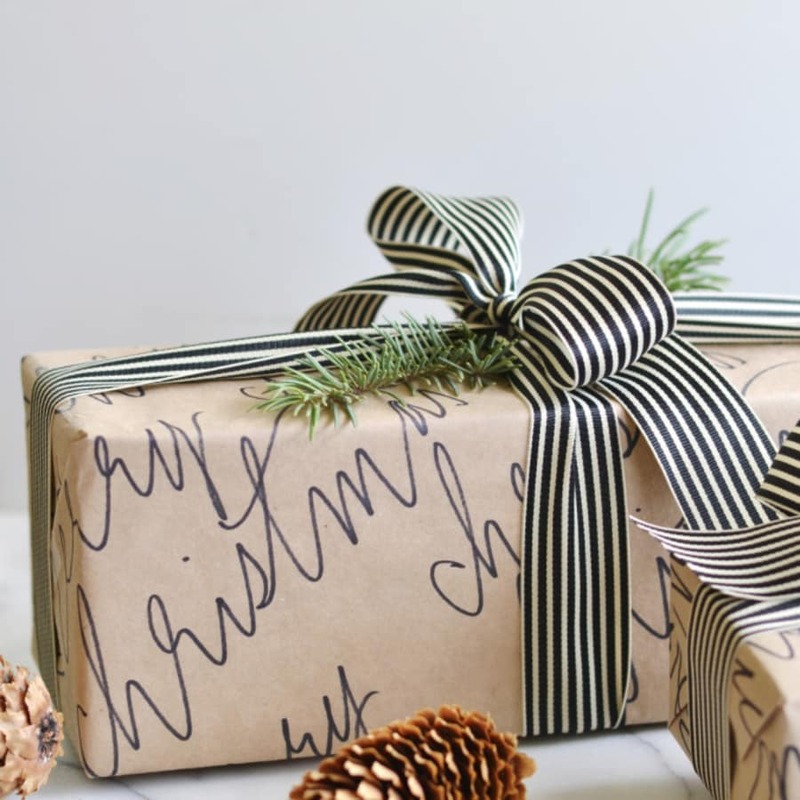 Time will then be spent developing your own style and practicing on Christmas stationery such as wrapping paper, cards, name tags and envelopes. 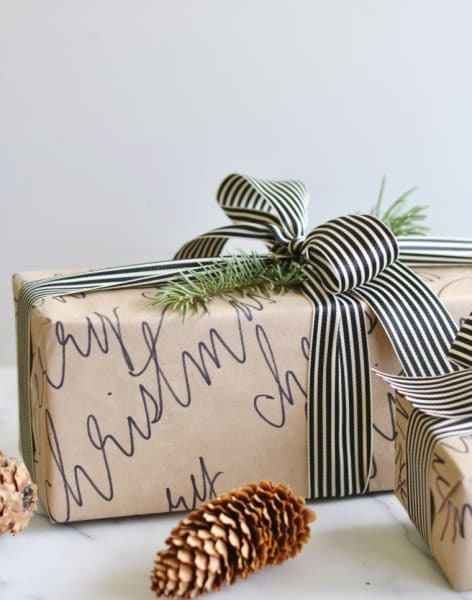 Lots of inspiration to make your Christmas stationery really stand out! 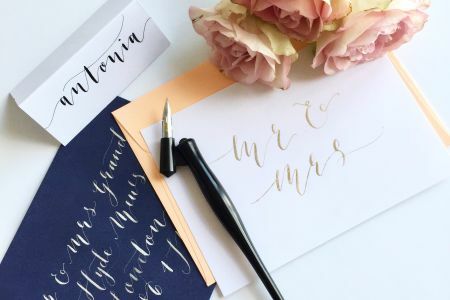 Founded by calligrapher and designer Katie Noakes, London Calligraphy is a boutique design studio specialising in the art of calligraphy and hand lettering. 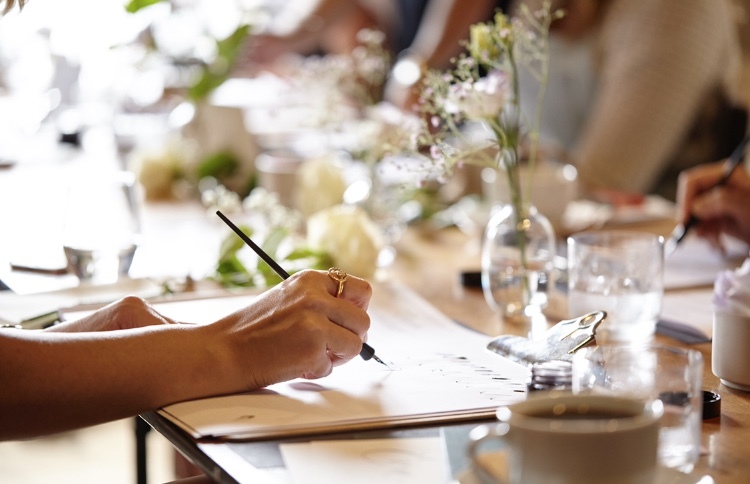 London Calligraphy run a range of workshops teaching the art of calligraphy in some of London's most beautiful venues. Katie loves to share her skills at her calligraphy classes and help people discover their own journey and handwriting style with ink. London Calligraphy work with many wonderful and notable clients worldwide including: Ascot, Buckingham Palace, Claridge’s, The Connaught Hotel, Fenwick, Fortnum & Mason, John Lewis, Kikki K, Lillingston Events, The Ned, Net-a-Porter, The Outnet, Sézane, Soho House, Space NK, Vogue and Walpole.